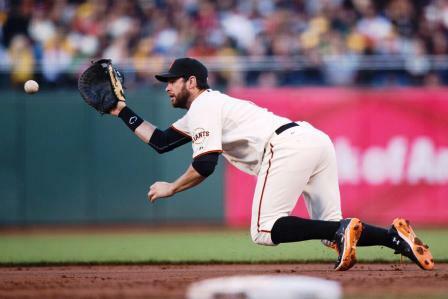 First Base Fundamentals ~ Can Just Anybody Play This Position? 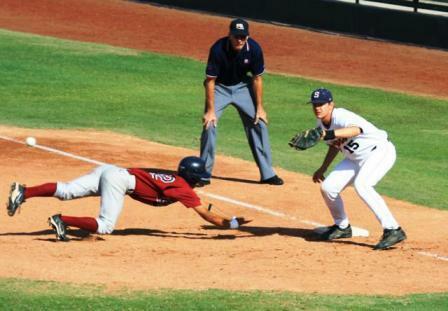 First base fundamentals, the tools you will need to play this frequently overlooked position. 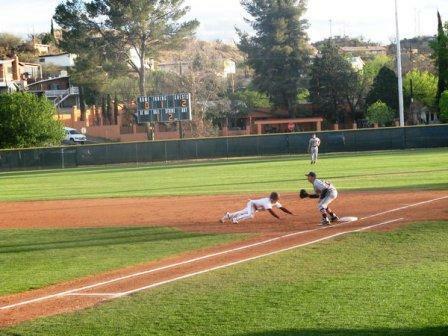 Over the years I have often heard coaches and players remark that anyone can play first base. I am not sure where that thought process develops from; but it is far from the truth! Playing first base requires an athletic individual. 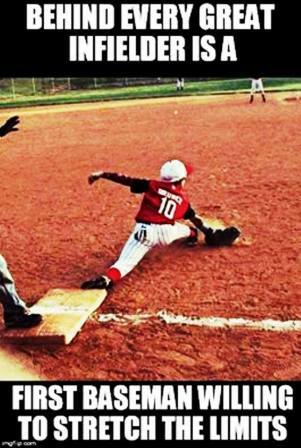 At the youth baseball levels, you are well served to think of this position in terms of defense first, offense second. The prototype for the position is a big, strong, and tall player who hits with power. This prototype is far easier to locate at the higher levels of the game. It is not that you can't locate that individual at the youth level, it is more that the optimal functioning of a youth infield is more centered around the defensive abilities of the player at first base. While players at the upper levels are certainly more accurate throwers, at the youth levels, throws from infielders can be an adventure at best. 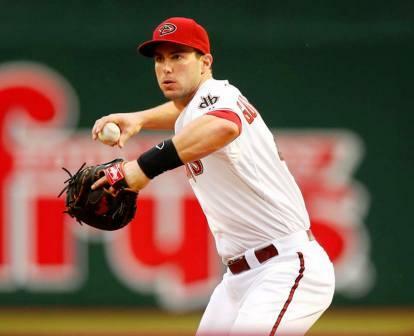 The abilities of your first baseman can make, or break, your infield, and/or your team. A position that starts out relatively simple in it's structure becomes increasingly more complex as players advance upwards in the game. Responsibilities for holding runners on, fielding bunts, getting a good push off the bag as the pitch is delivered so there is a little less of a hole between first and second, pickoff plays from the pitcher and the catcher, underhand and overhand feeds to a pitcher covering first base,cutoff responsibilities and trailing base runners, picking balls out of the dirt, footwork around the bag as well as a working knowledge of where to play based on the game situation. The ability and willingness to pick balls in the dirt is essential. When you are able to locate an individual who thrives on this aspect of his game, you have a terrific starting point. Not everyone is willing, or able, to develop this essential skill. You know you have the right player for the job when there is no such thing as a bad throw, only opportunities to display the skills they have worked so hard to develop, taking pride in the belief that no ball will get past them. Get to the bag quickly and set up, with both heels against the bag. That way you are able to move where ever the ball is thrown. Footwork around the bag. Become comfortable in making adjustments to off line, in the dirt or air mailed throws. On any given throw, you may have to adjust up the line, down the line or across the line. Anticipate a bad throw. The good ones will be easy. 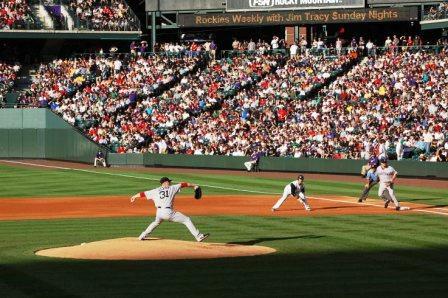 Quickly get into fielding position as the pitcher delivers the pitch. Constantly communicate with the pitcher, remind him he is coming to first base on balls hit to the right side. 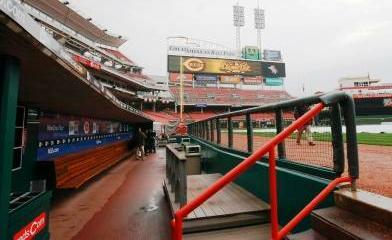 Tell him when you will be off, that is, playing behind the runner. While it may seem to you that he will see that, more often than not, he won't. Communication is the key! Anticipate bunt situations and key on the hitter's top hand. When it starts up the bat, charge hard. 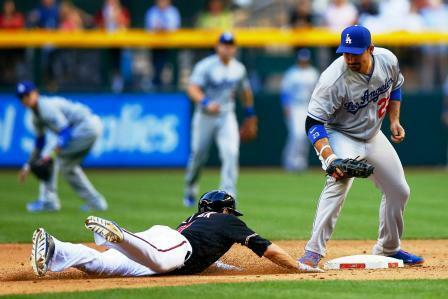 On a picked off runner at first base, clear yourself to the side of the baseline between first and second. 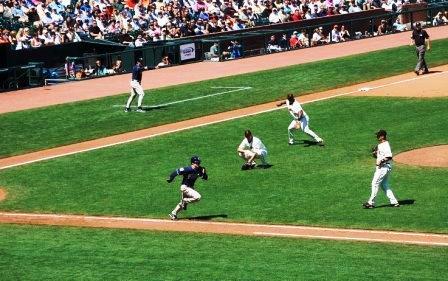 If the runner has turned and is running hard for second base ( you can see the back of his head), throw the ball immediately to the shortstop or second baseman, whichever is covering second base. 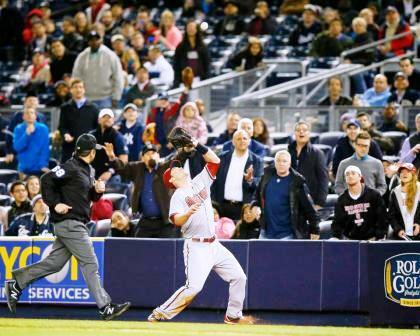 If the runner doesn't turn and run, put the ball in your throwing hand and run at him, full speed. Make him commit to a direction, or be tagged out. 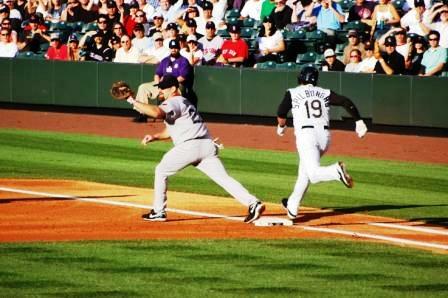 If there are additional runners on the bases ahead, stay aware of them as you make something happen at full speed. Adjust on the run. On a sure extra base hit, and no cutoff responsibilities, become the "trail" behind the batter. As he rounds first headed for second, get right in behind him. 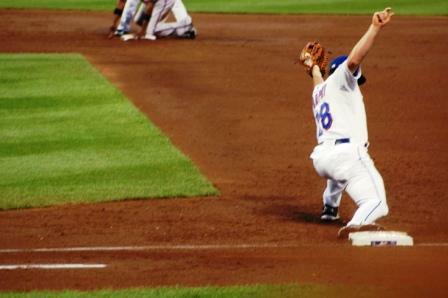 Should he make a big turn at second base, you are coming in behind him for a back pick. 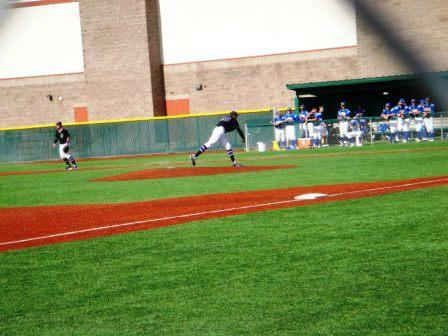 In the picture below, the outfielder in the distance has made a double cut throw to either the shortstop or second baseman, who had cut the ball and thrown to the first baseman "trailing" the batter/runner to second base. Play the ball, not the bag. 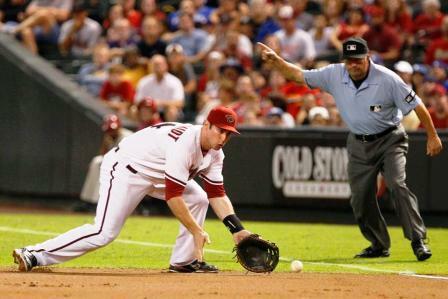 Attempt to keep the ball at first base, whatever it takes to do so. 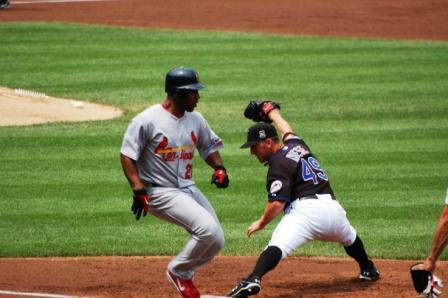 A ball that gets past you will generally result in one or two extra bases for the runner, depending on the amount of foul ground the field has. Know where to go in all situations. Look on the site navigation under defensive situations. There is a diagram for all the various situations you may encounter. Use the time between pitches to re-evaluate the situation and adjust if you need to. It is possible for situations to change, pitch to pitch. Be prepared. Work hard at picking balls out of the dirt. There is a pick drill which is designed for a team practice. You can modify it for just two players, shorten the distance you are throwing and create all types of "in the dirt" throws for your partner. 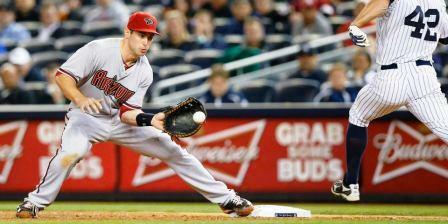 The secret is to keep your glove open, drag it along the ground through the ball. Repetitions and determination are the key. Stretching on close plays requires flexibility and quickness. The skill takes on many forms. Below are are a few. 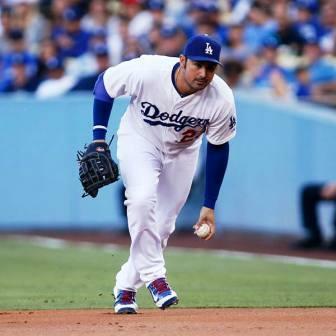 Ground ball techniques are the same for all infield positions, feet spread a little wider than shoulder width, glove side foot slightly back, arms extended, knees bent (bent knees get your glove on the ground,) head down, track the ball into your glove. Step with your throwing side foot, underhand toss to the pitcher covering, getting the ball to him a couple of steps from the base, which gives him a chance to make sure he steps on the base. 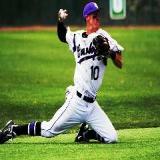 Put a little air under the ball, get it up chest high to make it easier to catch. Follow your toss, it will keep the ball on target. Field the ball first, then quickly set your feet. Throw the ball chest high, getting it to the pitcher a few steps before first base. That gives him time to find the base. Take the ball to the bag yourself, if there is any possible way to do so. Less opportunity for something to go wrong. My sophomore year in high school the varsity coach sent a junior down to play first base on our JV team, an event that had not occured in the program previously. The player was a lefty with exceptional defensive talent, who would not be able to play ahead of the senior currently on the varsity. We all wondered why that move had been made. It turned out the plan was for him to get innings that year, and become the varsity infield anchor as a senior. As a senior he anchored our defense, and to go along with some very talented pitching, we were State Runner Up my junior year. 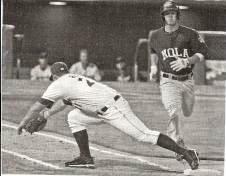 That success was in large part due to the defensive efforts of our first baseman. 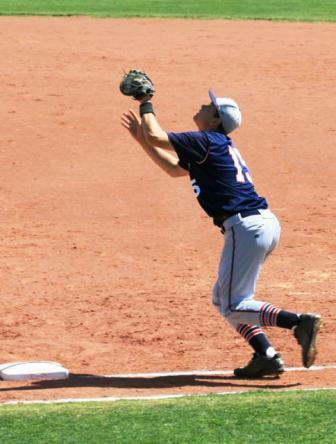 Consider building your infield defense around the shortstop and first baseman. It works!